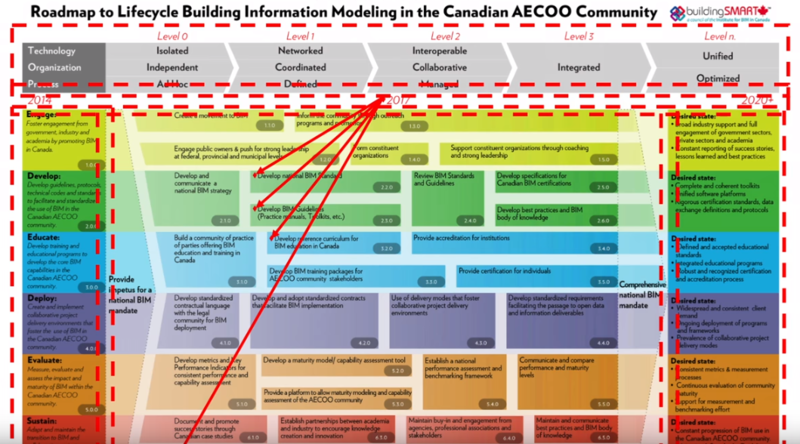 Canada is making a huge effort not only in the adoption of BIM (Building Information Modeling), but also in involving all professionals in a growing community where they can learn and contribute to the development of standards, documentation and other activities. Although BIM in Canada is still relatively nascent, the most recent reports show that new technologies are moving forward in the construction sector: 31% of the Canadian industry is using BIM, 29% is working with integrated approaches and 21% works with lean delivery construction (Source: Tahrani, Poirier&Froges 2015). Space Management and Open BIM, led by Defense Construction Canada. Royal Alberta Museum pilot project, from Alberta Infrastructure. Several small pilot projects, developed by the Société québécoise des infrastructures. IPD Hospital project, from Government of Saskatchewan. Canada needs 3 key elements to support the change appropriately on a national level: a BIM Strategy, a BIM Mandate and BIM Standards. Several organizations, including research & education members and industry and constituent members are combining efforts to achieve these goals. buildingSMART Canada started increasing its activity in 2004 when they collaborate with the Data Dictionary at buildingSMART, developed by buildingSMART International. From then on, the Canadian chapter has worked hard to promote and enable the movement towards a better-built environment for Canada through the development and use of open standards for BIM. By joining buildingSMART Canada, individuals become part of a growing community that is promoting excellence in the built environment by implementing collaborative working practices in Canada and around the world. Members can participate in the development of standards, protocols and programs through workgroups centred on activities described in the national roadmap, available on the buildingSMART Canada website. You can also follow the Canadian chapter through its Twitter accounts: @buildSmartCan and @InstituteBIMCan. buildingSMART Canada is a council of the Institute for BIM in Canda (IBC), which was formed in 2010 with the mission to lead and facilitate the coordinated use of Building Information Modeling (BIM) in the design, construction and management of the Canadian built environment. IBC brings together, for the first time, all the professional industry associations, as well as some of the owners. Susan Keenliside, Chair in the Member Community of buildingSMART Canada, explained in the symposium 'BIM Implementation Strategies', how BIM is being adopted in Canada by presenting the roadmap they are following for BIM implementation in the country, defined by 6 areas of activity: Engage, Develop, Educate, Deploy, Evaluate and Sustain. The Canadian roadmap is being used as a guide for many companies from different countries that are facing BIM adoption. Keenliside also showed the tools and documentation that the Canadian agents are developing, available to all users interested in them. IBC has produced a number of documents, such as the BIM Contract Appendix, which is in line with what is has been produced by the AIA; also BEP (PxP) Toolkits, with the the execution plan essentials, so that users have access to the best practices and to show how that would be accomplished in 3 different scenarios: Design Development, Construction and the Handover and Maintenance Phase. Soon to come up is a Practice Manual for BIM divided into three parts: A Primare, on specific to company context and one specific to the project context. This is the result of the efforts of over sixty dedicated expert practitioners who volunteered for the effort and the text and illustrations for the practice manual have been completed. The three volumes of the Practice Manual have been reviewed by industry experts and have been approved by buildingSMART Canada and endorsed by the Canadian Construction Association, Architecture Canada, Association of Consulting Engineers of Canada, and the Construction Specifications Canada, and public owners via the Steering Committee of IBC. Currently, the three volumes of the practice manual are undergoing graphic layout for publication and translation from English to French. Another essential tool just launched in Canada is a discussing board forum. "The focus is BIM best practices. We are not focusing on a specific software, but we are getting the conversation going on BIM in general", explained Keenliside in the symposium, who also repeatedly encouraged professionals to join the Canadian community. You can join the forum here! This intervention is part of the BIM World Implementation Strategies symposium, provided by Zigurat Global Institute of Technology and BIM Freelance, in which you can access for free through the link above. Key figures of different buildingSMART chapters, from 8 countries present the BIM implementation strategies that are being adopted in their territory. Susan Keenliside is collaborating in the 2nd edition of the Global BIM Management Certification Program as part of the faculty board, which features other lecturers such as Bill East, Jared Banks, Jeffrey W. Ouellette, Jacob D'Albora, Mohsen Far and more. Learn more about the Global BIM Management Certification Program from Zigurat, the popular international program that caters to the needs of professionals in more than 20 sectors of the AECO industry, by providing with the BIM methodology, tools and skills necessary to become leaders in BIM implementation. Zigurat’s BIM programs, in English, Spanish and Portuguese, are certified by Canada BIM Council in accordance with the international standards. Specifically, the Global BIM Management Certification Program has achieved the Academic Certification Level 3.0, the highest level of certification. This certification is recognized globally and complies with the BIM standards stipulated in Canada and the United Kingdom, some of the pioneers and most active countries in BIM methodology. Obtaining this certification will help industry professionals achieve a valuable professional position anywhere in the world and have internationally recognized credentials. 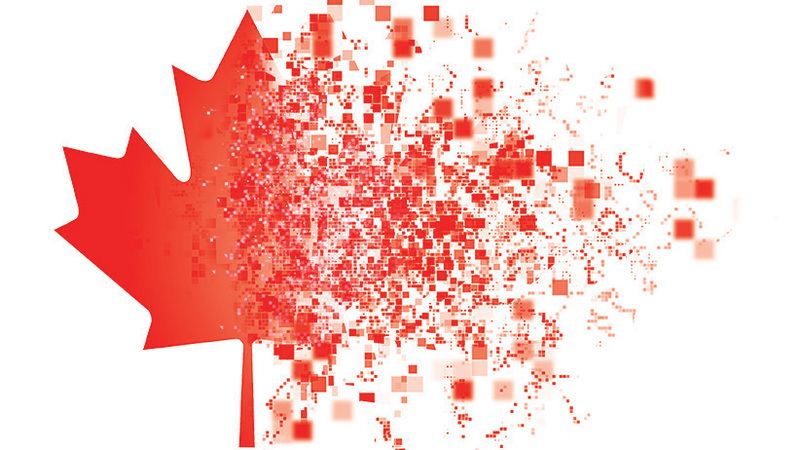 Canada BIM Council's mission is to provide their professional, educational, construction, fabrication and supply chain members with a collective voice dedicated to BIM. BIM is being adopted in several countries. Have you the skills that a high level position requires? With the Global BIM Management Certification Program, you can give your ccareera boost. Become the BIM Manager that the most advanced companies of the AEC sector are looking for. Join now the 2nd edition of this Master Program and enjoy the opportunity to learn with the most popular software on the market and get certified by the main companies like Bentley Systems, Graphisoft, Autodesk and Nemetscheck. Starting date: October, 17.